The team at Adelaide Building and Carpentry can assist you to transform your home and the way you live. Our extensive experience in high-quality builds, along with regular customer communication ensures our ability to bring your project to life. We pride ourselves on completing builds to a high standard and work closely with all trades. Our in-house carpentry teams are efficient and reliable in delivering quality work. We work with you to ensure your perceptions are achieved. We have expertise in blending the old with the new, extensions, outdoor living areas, alterations and everything from carports to upper storey additions. We also specialise in structural roof repairs including tiles to iron conversions and carry out restoration work on heritage listed properties.  Adelaide Building and Carpentry is located just south of the CBD and we work in all areas of metropolitan Adelaide. If you would like an experienced, honest and reliable builder to quote on your plans please call 0402 767 499 or contact us by email. Adelaide Building and Carpentry completed a contemporary addition and refurbishment of this 1920s character home in Dulwich, perfectly pairing the heritage features with today’s modern luxuries. Adelaide Building and Carpentry is a team of professional trades personnel providing services for insurance companies, corporate bodies, real estate, government and Local Councils. We offer scheduled work services, 1st and 2nd fix carpentry for residential and commercial buildings, extensions, renovations and additions.